A decision on plans to demolish a Bosham home and building a replacement has been delayed so councillors can visit the site first. The existing house Hove To on the south side of Smugglers Lane would be knocked down and a main two-storey dwelling and single-storey annexe built in its place. 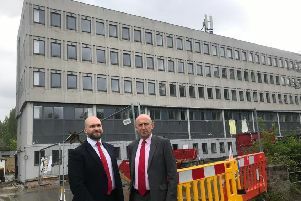 Members of Chichester District Council’s planning committee raised enough concerns about the application last Wednesday that a site visit was requested to better understand the plot before a decision is made. Montagu Evans’ Gareth Fox, speaking as agent for the scheme, argued that the scheme was respectful of its neighbours while the new property would sit ‘quietly and comfortably in its setting’. He stressed it was ‘not two dwellings by the back door’. But Anthony Chapman, from Bosham Parish Council, expressed concerns the ancillary accommodation would be used as a second separate home once built. Several district councillors also took issue with the design of the new home. A site visit was then proposed and the committee agreed to defer the application to a future meeting.